2012 Nov 22 - Deirdre Scoops To 10 Award again! Amidst really tough competition once again, Deirdre has still stayed on top of her game and once again, been awarded the title of Top 10 agent in the Port Elizabeth region. 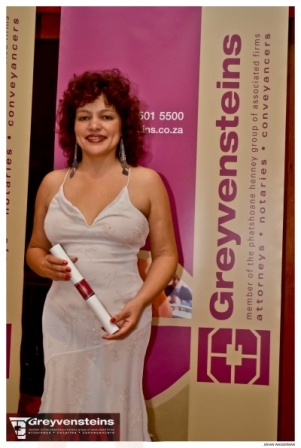 These achiever awards, run by Greyvensteins attorneys acknowledge the top performers in the reagion on an annual basis and to consistently be in the Top 10 speaks a lot about the professionalism and committment excercised in the performance of her mandates. The difference between these top agents at this level is minimal and each is a star in their own right. Property Network is proud of her as their principal and look forward to manymore years of achievement as well as her guidance and assistance in all members reaching these same heights.